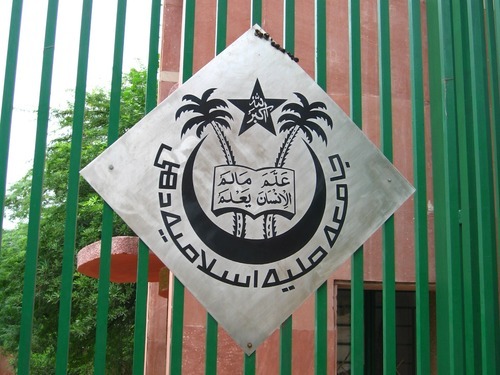 The Law ministry advising HRD to reconsider Jamia Millia Islamia’s status as a minority institution have been a buzzing topic. Whether or not Irani’s office would actually try scrapping off the minority tag from Jamia is not the issue of concern over here, it could be much more than that. To understand the context in which the buzz is injected let’s have a flashback of the recent happenings among the student fraternity. “Occupy UGC” movement which emerged as a protest against the University Grants Commission announcement that it would be discontinuing the “non-NET fellowship for M.Phil./PhD” scheme from the next academic year. Students flocked in from different parts of the country in front of the UGC headquarters to oppose the decision. This United Student community (keeping aside the students wing of the ruling government) have helped the movement sustain. Students till date are peacefully protesting at the ITO metro station’s gate that happens to be near the UGC office, even in this biting winter. They have carried a number of rallies both in Delhi and across different states. Students on protest also plan to carry out an “All University Strike” on February 18 to convey their firm stand against Irani’s office. Another issue to look at would be the Ram Janmabhoomi seminar that was organized at Delhi University. While popular media channels reported NSUI (Congress Student Wing) to be the only opposing group, students who were at the site explains the entire student fraternity stood against Subramaniam swamy coming to deliver a talk on an issue that does nothing but dismantles the Secular Indian fabric. The intensity of the protest could be well interpreted from the way Swamy ji responded, calling the protestors as “Left Wing people, Intolerant and Naxalites”. The United Student Community at different events, be it the Occupy UGC Movement, Protest at the Seminar or the FTII Issue against the Government, all suggested for an immediate call to dismantle the Hot Blooded Indians who prefer not to stand with Communalism, Injustice and Hatred. The high end political intellectuals worked on to divide the student fraternity along the religious lines, but this time not on the issue of Ram Mandir, but on the Minority Institutions and their establishment. The soup is prepared and is poured too. The timing of the Jamia Minority buzz depicts how immediate was it for the Political Stake Holders to divide the students and bring an end to the ‘United & Persistent Student Activism”. How far has this soup able to serve the purpose? Well I see students discussing on the matter of whether or not Jamia should have its minority status. The part that worries me the most is that I do notice students abusing each other, and I see the lines emerge. What I feel as a student, we all should try to introspect things beyond what they may seem to us. Let the soup of hatred chill in this winter.